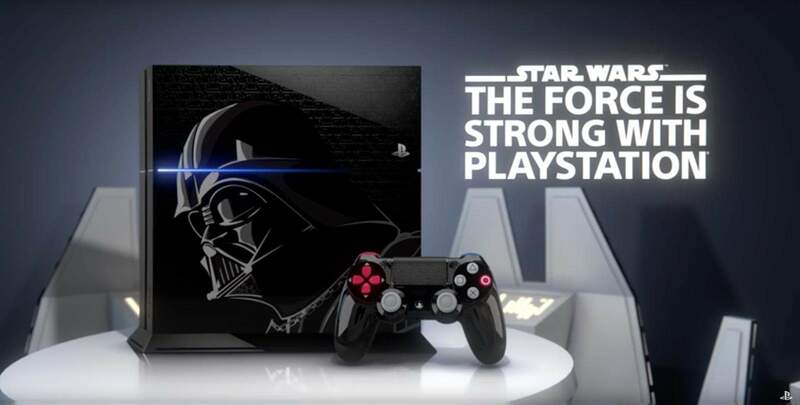 Sony have announced that a Limited Edition Darth Vader PlayStation 4 bundle will be made available on November 17th, 2015 alongside the release of Electronic Arts’ Star Wars Battlefront. The new bundle has been inspired by one of the most iconic villains in cinematic history, Darth Vader, and features a 1TB jet black console that has been emblazoned with the Sith Lord’s helmeted visage and the Star Wars logo etched into the top of the console, and a unique DualShock 4 controller with ‘Sith Red’ embellishments and the Star Wars logo etched into the controllers touchpad. The Limited Edition Darth Vader PlayStation 4 bundle includes a Darth Vader inspired console and controller, as well as a digital voucher to download Star Wars Battlefront Deluxe Edition and four classic Star Wars titles – Super Star Wars, Star Wars: Racer Revenge, Star Wars: Jedi Starfighter and Star Wars Bounty Hunter which are all playable for the first time on PlayStation 4 and sport enhanced graphics and Trophy support. The bundle looks good, if a little ordinary. The controller aside, it feels like Sony took a shortcut and merely pasted a unique Darth Vader decal on a normal PlayStation 4. The lack of customisation, like what was seen with the Star Wars R2-D2 Xbox 360, is disappointing. For starters, I feel that a red light, instead of blue, would have worked a lot better with the console; and how about adding some additional silver elements or red decals to the front or sides of the console to emulate Vader’s chest pack? Lastly, it would have been fantastic if Sony could add unique sounds to the console in the way that Microsoft is able to with the Xbox 360 and now Xbox One. Imagine, for example, how great it would be to hear Vader’s breathing when the console starts and his lightsaber powering down when the console is turned off. In my opinion the Limited Edition Darth Vader PlayStation 4 bundle is a bit of a missed opportunity and appears to be aimed at new console owners or ‘die hard’ fans of the franchise. A suggested retail price for this limited edition console is still “to be determined”. Johannesburg, South Africa, 18th August 2015 – Sony Computer Entertainment Europe announced the PlayStation®4 (PS4™) Star Wars bundle arriving in South Africa this November. The limited edition bundle will be available from November 17th 2015 alongside the release of EA’s Star Wars Battlefront. The PlayStation®4 (PS4™) Star Wars bundle features a PS4 system and DualShock 4 controller inspired by Darth Vader. 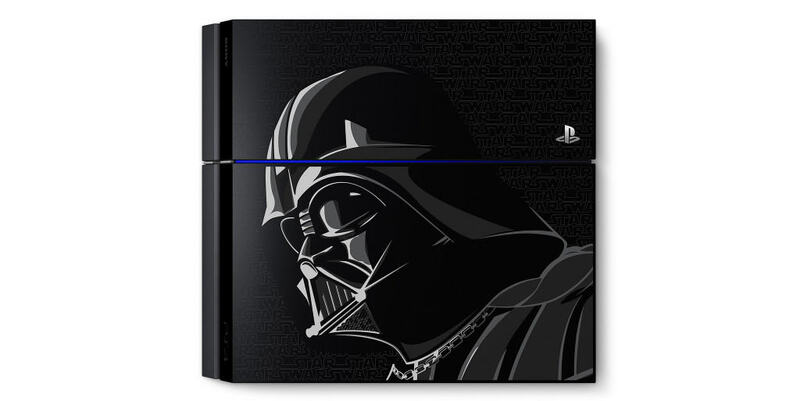 The fully customised PS4 features an image of Darth Vader, as well as a repeated Star Wars logo etched across the top of the system. The Darth Vader edition DualShock 4 is inspired by Darth Vader’s suit and features the repeated Star Wars logo on the DualShock 4’s touchpad. The bundle will also include a digital voucher to download four classic Star Wars games – Super Star Wars, Star Wars: Racer Revenge, Jedi Starfighter and Star Wars Bounty Hunter. All four titles are playable on PS4 for the first time and will feature trophy-support as well as enhanced graphics. Sony Computer Entertainment Europe (SCEE), based in London, is responsible for the distribution of PSP™ (PlayStation®Portable) handheld entertainment system, PlayStation®3 (PS3®) computer entertainment system, PlayStation®Vita (PS Vita) portable entertainment system, and PlayStation®Network software and hardware in 109 territories across Europe, the Middle East, Africa and Oceania. SCEE has revolutionised home entertainment since they launched PlayStation® in 1994. PS2® further enhanced the PlayStation® legacy as the core of home networked entertainment. PSP® is a handheld entertainment system that allows users to enjoy on-the-go games with high-quality full-motion video and high-fidelity stereo audio. PS3® is an advanced computer system, incorporating the powerful Cell Broadband Engine and RSX processors. PS Vita is an ultimate portable entertainment system that offers a revolutionary combination of rich gaming and social connectivity within a real world context. SCEE also delivers the PlayStation® experience to open operating systems through PlayStation®Mobile, a cross device platform. 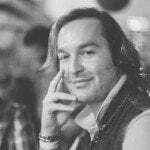 SCEE also develops, publishes, markets and distributes entertainment software for these formats, and manages the third party licensing programs for the formats in these territories. More information about PlayStation products can be found at www.playstation.com. PlayStation, PS4, PS3, PS2 and PSP are registered trademarks or trademarks of Sony Computer Entertainment Inc. All other trademarks are property of their respective owners.